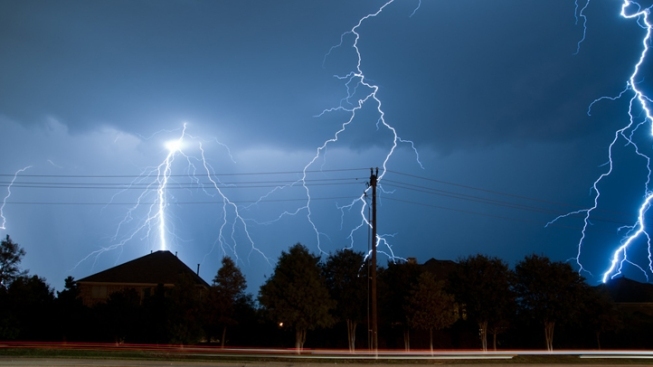 Severe storms lit up the skies with lightning and caused tens of thousands of power outages Thursday night. Oncor Electric Delivery reported that outages in the Dallas and Fort Worth metro service areas were down to about 10,245 shortly before 5 a.m. By 9 a.m., that numbered had dropped to just over 5,000. Oncor had reported 38,925 power outages at about 10:30 p.m.
Storms moved south from the north, bringing lightning and high winds. The storms had the potential for damaging wind gusts of up to 60 to 70 mph. North Texas could expect about a 1/2 inch of rain from the storms, NBC 5 meteorologist Grant Johnston said. A cold front pushing into North Texas set off the storms, which had moved out of the Metroplex by late Thursday night. 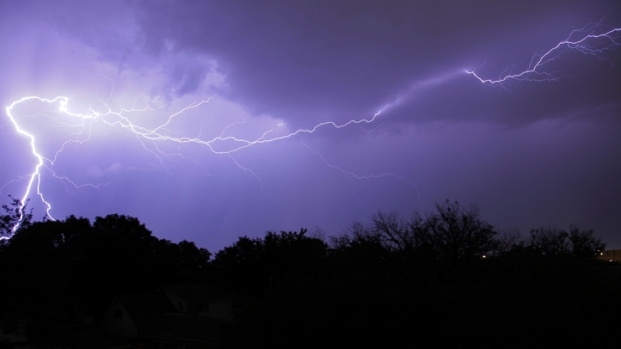 The storms blossomed over Denton and Collin counties at about 8:30 p.m. Submit your storm photos by clicking here or emailing isee@nbcdfw.com.